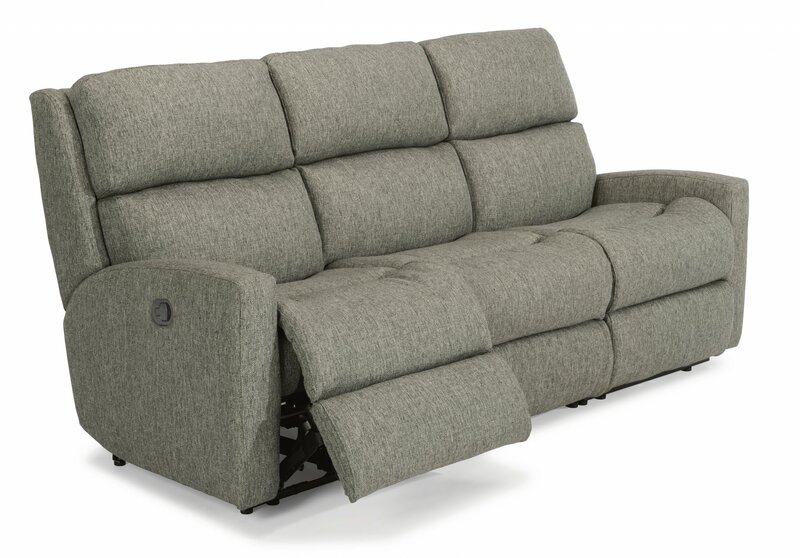 Catalina’s contoured seating provides body-hugging, ultra comfort lasting day after day and year after year. A fully padded footrest and divided back cushions add to Catalina’s luxury and appeal, and its sloped arms and deep-set back wings accentuate its sleek and modern design. A power reclining mechanism lets you change angles effortlessly from an upright to a fully reclined position with the touch of a button. Sofa, loveseat, loveseat with console, recliner, and sectional pieces available. Optional dual USB port located at the center of each power button.